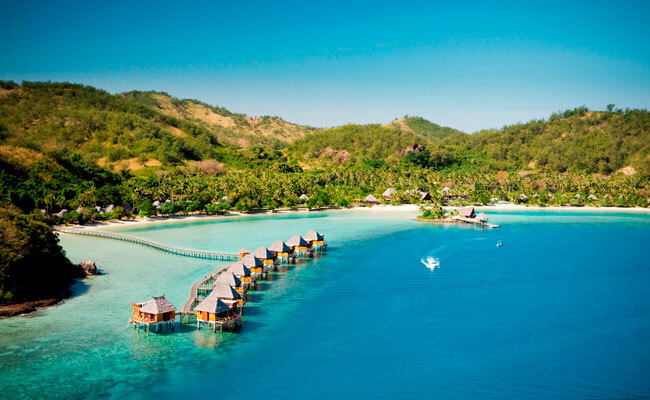 Home » Travel Blog » What’s the best spot in Fiji? I just returned from a beautiful two weeks in Fiji with my husband, and was reminded of why I fell in love with the place during my first visit four years ago. I’m happy to help all of you pick and choose the right region in Fiji for you by comparing major regions here. Rainfall is unpredictable in Fiji — and becoming only more so each year. You can have a week of rain in “dry season” in what is historically the driest part of Fiji. You can have a week of drought in “wet season” in the lushest, most historically humid part of Fiji. Rain doesn’t ruin a holiday at all — it keeps the foliage green and gives you an excuse to sleep in! Plus, it’s usually just a short burst with the rest of the day clear. Cyclone season lasts from around November to March, and is like hurricane season in the Caribbean. You can go for two weeks and not see one the entire time, but if one does hit, it can be quite devastating. Best to go to Fiji from April through October, or at least minimize your risk of cyclones by choosing your location carefully amongst the 330 islands of Fiji. Average daytime highs across Fiji hover between 80 F and 85 F year-round. It tends to be a few degrees cooler on average between June and August, and a few degrees warmer on average between December and February, but like the rain, temperatures are fairly unpredictable. On any given day, you could have a high of 70 F or 95 F. The former is a bit chilly for swimming and the latter makes you wish your resort had air conditioning. Either way though, it’s probably better than the temperature back home! Head here for resorts that are the easiest to access from the main airport, for larger international chain properties, lots of amenities, lots of nearby activities, and more action. 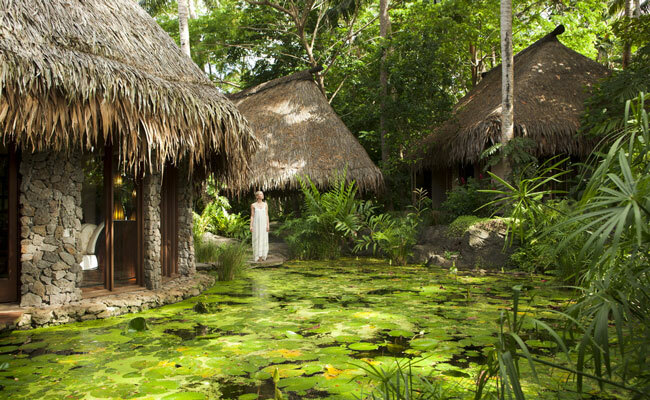 Great for short stays in Fiji or for multi-generational groups looking for options that will please everyone. Don’t go here if you want to minimize risk of cyclones between November and March, or to find the best beaches. 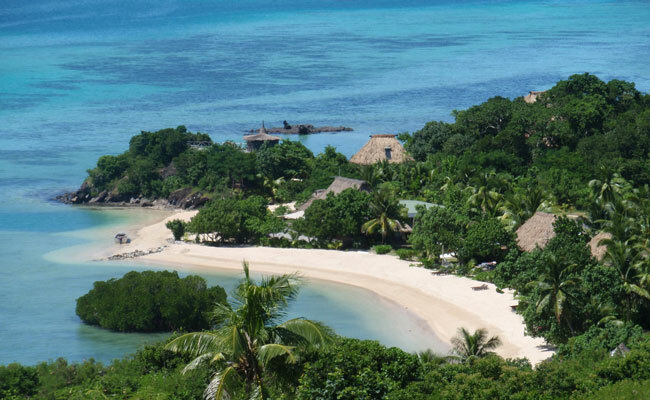 Head here for better beaches than Viti Levu and more boutique/independent resorts. Don’t go here if you’re seeking “the Real Fiji,” or a tiny resort with tons of exclusivity. Head here for the best beaches in Fiji and some of the smallest, most remote, untouristed areas and romantic resorts. Head here to minimize risk of rain. 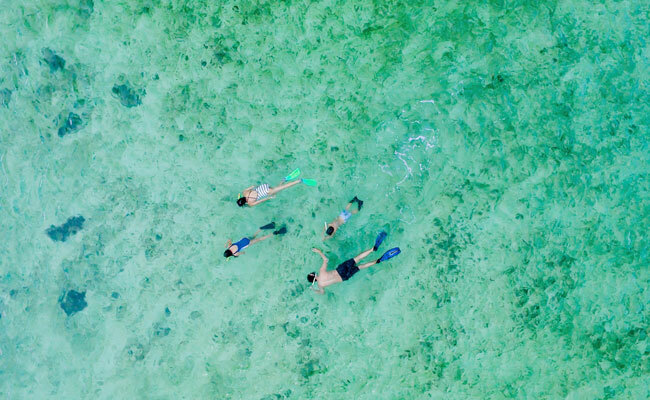 Ready to begin planning your own adventure to Fiji? Browse our Fiji trip packages, or contact us at 888-367-0933 to start planning the adventure of a lifetime!